(Nanowerk News) The University of Sheffield has released the very first photos of space ever taken with a telescope that has been made using a 3D printer. 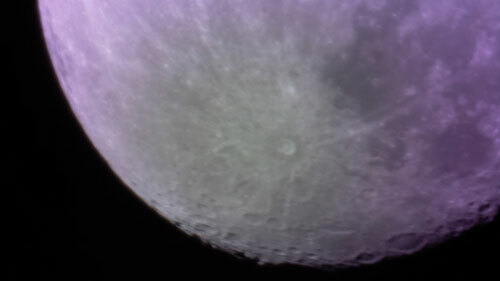 The moon view through a £100 3D telescope. Of the PiKon telescope, former physicist and member of the Institute of Physics, Mark Wrigley, said: "We’ve called this project Disruptive Technology Astronomy because we hope it will be a game changer, just like all Disruptive Technologies.